Posted January 15, 2016 by Christian Bone & filed under Opinion. This month brought the sad news that fantasy adventure series Jekyll and Hyde has been cancelled after only one season due to disappointing ratings. Charlie Higson’s ten-part drama was the latest in a line of ITV shows to have aired over the past decade that have tried to ape the family-friendly success of Doctor Who. Since the Time Lord returned to our screens in 2005, ITV has created several shows to rival the BBC behemoth, airing them in weekend tea-time slots and hoping for some of the Doctor’s magic to rub off on them. However, none of them have come close to the success of Doctor Who. When ‘anomalies’ – rips in time – begin to open, Professor Nick Cutter (Douglas Henshall) and his team of experts have to capture the dangerous prehistoric monsters that escape into the modern world. ITV must have been very pleased when they came up with the central premise of Primeval – DINOSAURS AND TIME TRAVEL! ITV got several years mileage out of the series before it was belatedly picked up by Watch for a co-produced final two seasons. Primeval also had a talented cast, with Ben Miller often stealing the show as the comically-uptight boss James Lester. To be fair, Primeval did pretty well for itself, but compared to Doctor Who its five season run feels short-lived and there was also the nagging feeling that the show never quite fully realised the concept’s potential. 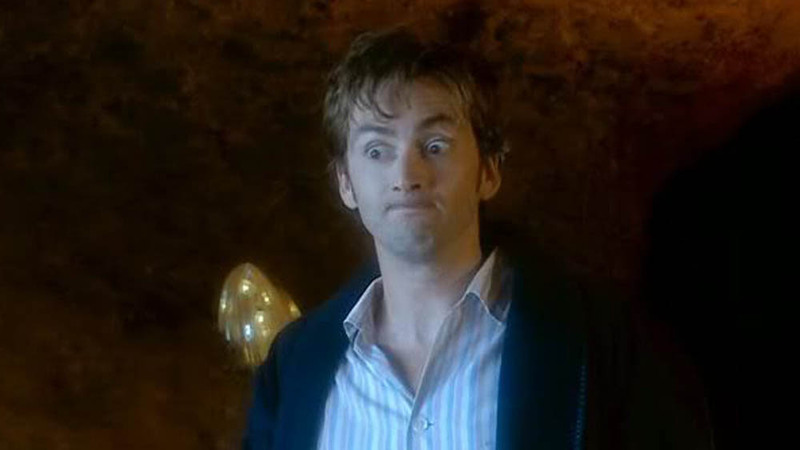 > Buy the complete Primeval box set on Amazon. Ordinary teen Luke Rutherford (Christian Cooke) discovers that he is the last of the Van Helsings, a family of monster hunters who are tasked with protecting the world from the forces of darkness. Not much, in all honesty, but it did often have terrific guest stars popping up in villainous roles, usually hidden beneath ridiculous prosthetics, including Mackenzie Crook, Kevin McNally and Richard Wilson. As shown by its short existence (only six episodes were made), Demons was a muddled and derivative series that largely came off as a poor knock-off of superior US programmes such as Buffy the Vampire Slayer and Supernatural. 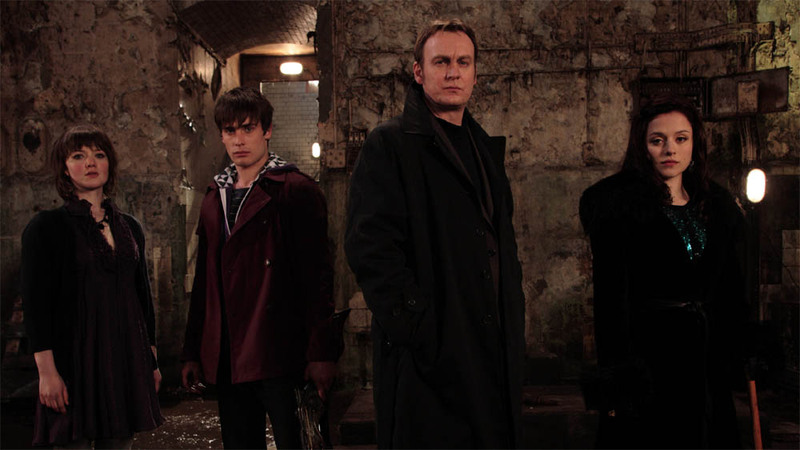 Its cast – led by poor Phillip Glenister trying to grapple with an American accent – were also wasted with thinly-drawn characters stuck in clichéd situations. > Buy Demons on DVD on Amazon. 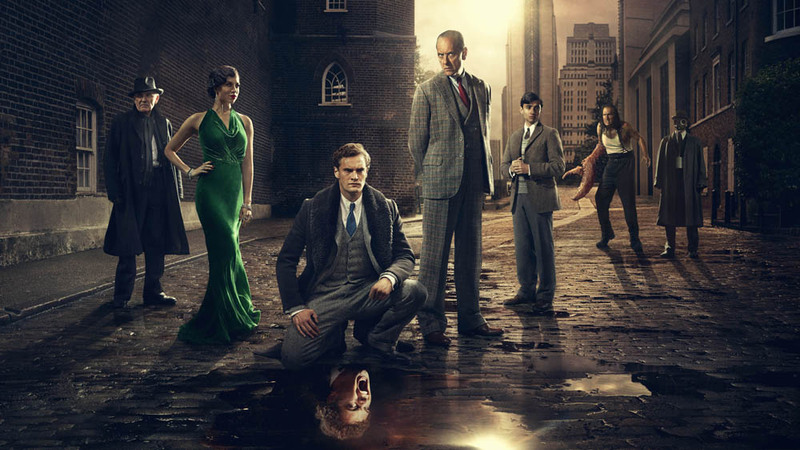 In the 1930s, Robert Jekyll (Tom Bateman) learns that he is the grandson of the infamous doctor. As he begins to suffer from the same problems with split personality, he becomes caught in the middle of a battle between good and evil. Based on Robert Louis Stevenson’s ever-popular tale, Jekyll and Hyde‘s new twist was mixing it with a world of other monsters and setting it in the time of the Universal horror films, such as Dracula and Frankenstein. It also followed the Doctor Who showrunner mould with popular writer Charlie Higson (of Young Bond, The Fast Show and others) taking the reins, joined by a group of writers that included Doctor Who‘s own Gareth Roberts. We here at Cultbox enjoyed Jekyll and Hyde and were gutted by its cancellation, but we do have to admit that it did have a slow start and some tone issues. However, the problems were nothing that couldn’t have been fixed with a second season. > Buy Jekyll and Hyde on DVD on Amazon. So why haven’t any of these series come close to rivalling Doctor Who? Is it down to their own flaws or indicative of the wider television landscape right now? Jekyll and Hyde shows that ITV is unwilling to grant a show more than one season to find their feet. Perhaps even Doctor Who wouldn’t be made today, seeing as when it came back in 2005 it was a reboot of an old classic rather than the BBC taking a chance on a completely new idea? To be fair to ITV, the BBC haven’t even really had another Doctor Who on their hands, though not from want of trying. 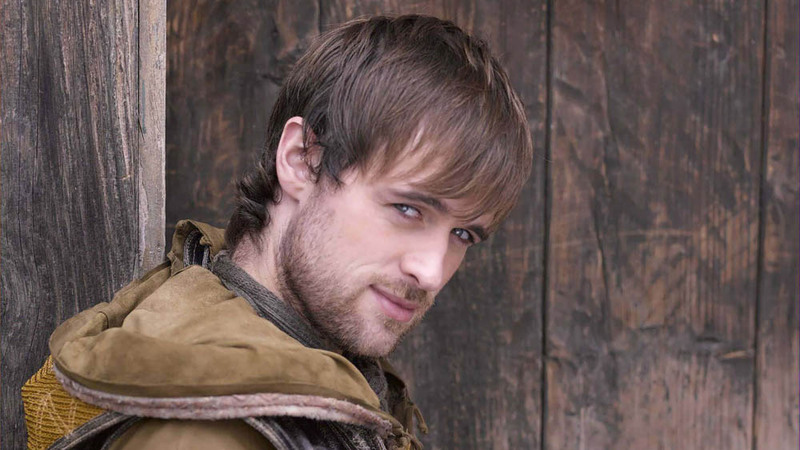 While Merlin did gather its own (incredibly loyal) fanbase over time, Robin Hood and Atlantis only lasted for two or three seasons. It could be then that Doctor Who is just the outcome of lightning in a bottle and repeating its success can’t be forced. Perhaps if ITV – and the BBC – stopped trying to recreate Doctor Who’s success and focus on breaking new ground then they might find something approaching that show’s longevity and popularity. Or that ITV should go one step further and raid their own back catalogue of classic TV formats to capture that nostalgia factor which undoubtedly saw Doctor Who welcomed with such open arms back in 2005. Could The Avengers return with new Steed and Peel? Or is Neil Cross’s Sapphire and Steel remake already heading to ITV? > Follow Christian Bone on Twitter. > Read more of Christian’s musings on TV, films and books over on his blog. Doctor Who is a unique invention that happened as a result of inspired genius, a tremendous wealth of talent and a big name as the leading man. It really took until its fifth and sixth episodes to truly capture peoples’ imagination with another stroke of genius that we call Daleks. I haven’t even mentioned the flexible “something for everyone” options that the format opens up or the way the cast and crew can all be swapped around to refresh it every few years or even every few episodes. I believe the phrase is “lightening never strikes twice”. There is only one Doctor Who (besides spinoffs and parodies) and no show can hope to replicate its success. Dr. Moo sums it up very nicely.But the added ingredient lacking for others,is that WHO,is a true original.Of course it has borrowed from other sources,but its core concept is stronger than the sum of its parts.Old ideas were given a twist/ made to be different…there’s a time machine-” ahh,but this ones called a Tardis!” There are robots…”oh yes, but there’s something alive inside of them!” Is there a hero? “indeed, but he’s a mysterious stranger we don’t know much about.” So where is it set? “just about anywhere you’d like.” WHO IS ABOUT STORY- IMAGINATION…limited only by stagnation,time and budget. Sandwiched between its unforgettable theme tune- it is a breeding ground for fantastical ideas.Whimsical fly paper for the young at heart; whose grab has a pull beyond its televisual showings. I suppose the modern terminology is “Brand”. A brand with heart. ITV has never found such a brand. ITV shows tend to try and please american audiences. They play safe and always have tonal issues. Even non cult shows like Mr Selfridge have the same tonal trans american issues. And the success of BBC America should tell ITV that they don’t need to do that. Americans love British (or at least British-inspired, such as Orphan Black, which is filmed in Canada) shows, too. I wish Del Toro hadn’t bought the rights to The Champions because that’s an ITV show that could work well on the channel again. Infact a lot of old shows could work well on there. Department S, Man in a Suitcase, Dangerman, The Baron. The Protectors etc. There are lots they could update. 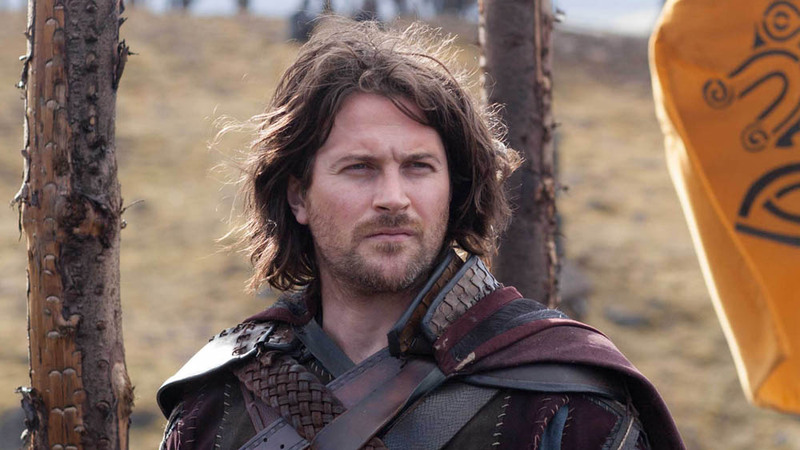 No mention of ‘Beowulf’ at all, despite it being, y’know, ON TV RIGHT NOW. And no bothering to review it, either? Did someone working on it murder your gran? Stop giving upvotes to all your own comments, it’s embarrassing! Doctor Who is the aberration rather than the norm. Both ITV and the BBC have little faith in their family/fantasy series (Primevel and Merlin being the exceptions) and usually dump them with whacking great cliff-hangers: Strange, Atlantis, Survivors, BUGS, Paradox, The Fades… (Admittedly, these are not all family programmes, but the fact that fantasy bears the brunt of the axe is the point). However, ITV did have the opportunity to play on one of their past glories in Thunderbirds Are Go and, except for the launch episode being on ITV peak Saturday night, decided to shovel it on to CITV at 8am Saturday morning! Which is a shame, as it’s a good show – it’s getting a second season and I hear that a third is being planned too, though they haven’t officially announced that yet. I loved some of ITV’s old shows like UFO and Space:1999, but know I’m a minority. I would think The Avengers would stand the best chance at a revival, especially if Diana Rigg were in it in charge of the agents. Rigg stole the episodes of Game of Thrones and Doctor Who where she has appeared more recently and her liberated Mrs. Peel in authority would be a strong draw. Would love a U.F.O. reboot but they don;’t have the rights to it any more. Their has been a U.F.O. movie stuck in “Development Hell” for the past 15-20 years with no sign of it ever getting made. Same with something like “Blakes 7” which Sky bought the rights to 20 years ago and since lost them (I think ?! not sure) They were trying to reboot it and have a UK BSG style show but it fizzled out after a few scripts were written. Fact is, the really great sci-fi/fantasy shows like Doctor Who, Buffy and Stargate that built up from nothing (otherwise Smallville would also be on that list, Lana Lang aside) had not only a great and unique concept, but the bravery to build the show’s universe in its own unique way and some very smart character writing. Mind, there is a lightning in the bottle element. One of the chief differences is that Doctor Who is not a remake or a reboot, but rather a continuation of the classic series after a long-ish hiatus. The concept of the Doctor being able to ‘regenerate’ is the real key that made it possible to return to the small screen. That plus the fans never really went away, so there was a ready made audience to join the new fans that they brought along. Here’s a grand idea, aim for a totally different demographic than Doctor Who is going after. Probably because people don’t really think of ITV these days when they think of fantasy TV shows. ITV can’t change that if they only do shows that end up being cancelled after the first/second series. ITV also only seem to do family-friendly shows in this genre.Why not try something different like BBC Three did with non-family friendly shows like Being Human? Beowulf isn’t bad but it feels a bit like a family-friendly version of Game of Thrones.